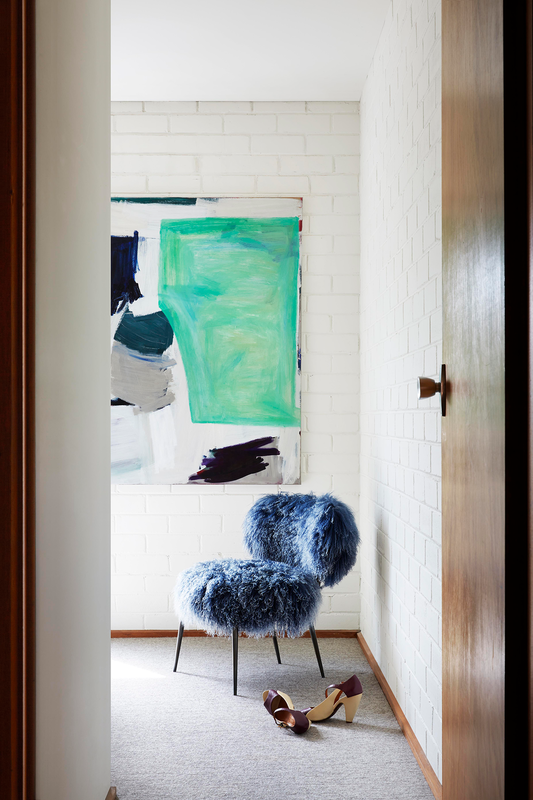 Today's wonderful house feature belongs to Lisa Breeze, who found her 1970's dream home in North Fitzroy around four years ago and put her architectural skills to incredible use, renovating and redesigning the interiors. A self-confessed lover of all things retro, the renovation has remained sympathetic to the original design, spotlighting and keeping all its good bits, while updating the dated elements. 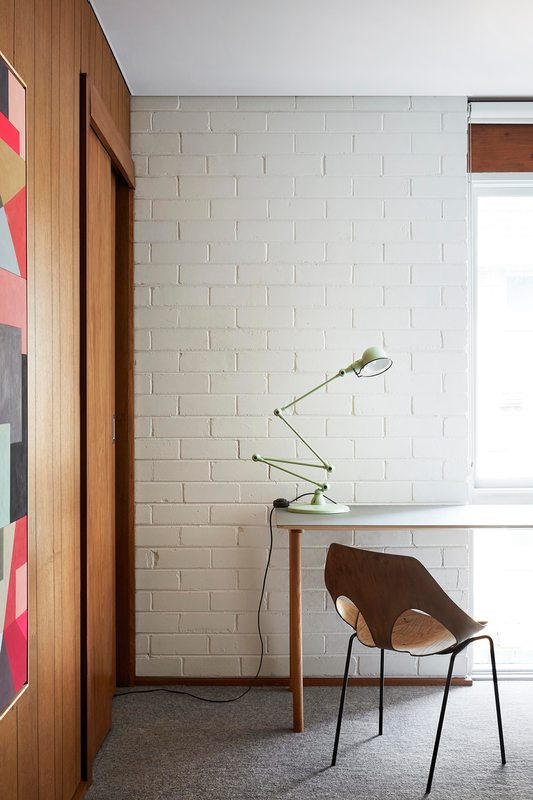 We caught up with Lisa to find out more about her gorgeous North Fitzroy home. Classic Thonet chairs sit in the dining area with a dining table purchased on eBay. Photo - Caitlin Mills. Styling - Tamara Maynes. Hi Lisa, what was your main inspiration behind the design of your home? My main inspiration for the design was its origin. 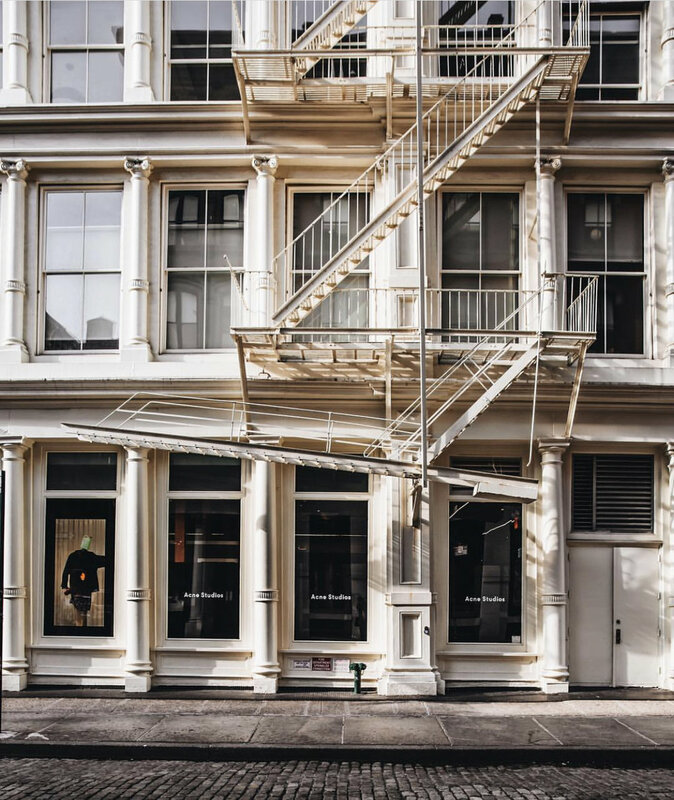 When I found it, I instantly feel in love with the quaint and simple 70's details, which have survived 40 years – and also probably more than one or two dodgy renos! The painted bricks, exposed floor joists, timber paneling and the chunky staircase (totally non-compliant by 2018 standards!) were the main features that stood out. The kitchen was purposely built out from the wall so the plumbing could run in behind the cabinets rather then through the brickwork. 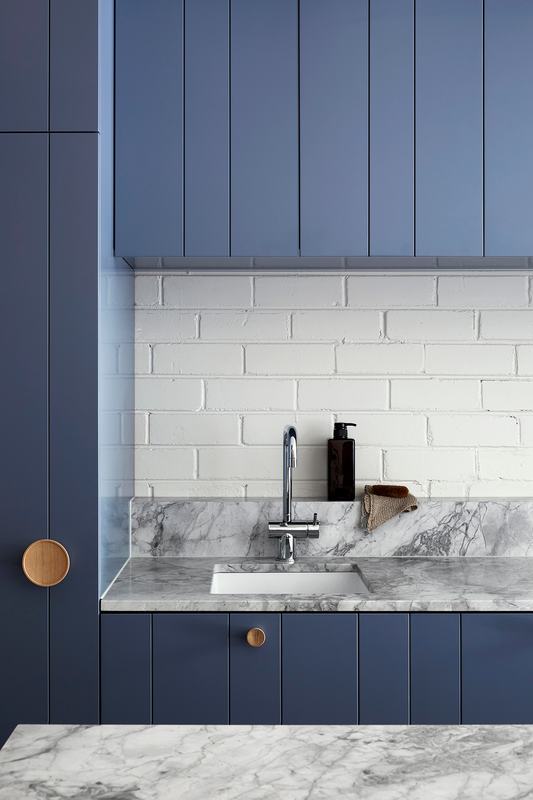 The little stone ledge hides the plumbing and services void and also acts as the splashback, contrasting against the wonderful exposed bricks above. Photo - Caitlin Mills. Styling - Tamara Maynes. Can you tell us a little about your choice of colours and why you went for such a bold palette in the kitchen? Good question. I wanted to take the opportunity to be a little bit adventurous, and the bluey, purple, grey colour stood out (painted in Dulux Buoyant Blue). It's strong and bold without being heavy, contentious, or tiresome. The oak flooring and handles were a contemporary and light touch that complement the original timbers in the home – which has a rich brownie red character, iconic of the 70's. Marble-topped kitchen benches and bold, blue-paneled joinery featuring blonde-wood handles from IN-ERTIA. Photo - Caitlin Mills. Styling - Tamara Maynes. As an architect, what design element do you always return to? Pattern and texture! I find it is the best way to add detail and interest without overcomplicating (or over-spending on) the details. That, and I like to examine what works in older homes, look at why things were built the way they were originally, when materials and building techniques were much simpler. Bed by Jardan and dreamy painting from Marisa Purcell. Photo - Caitlin Mills. Styling - Tamara Maynes. As an architect, what design element do you always return to? Pattern and texture! I find it's the best way to add detail and interest, without overcomplicating (or over-spending on) the details. Your favourite part of the redesign? Living in it! Given the lack of storage in the home when we arrived, it was super important to get that part right. Our kitchen now functions really well in terms layout and accessibility, it houses everything efficiently with only the necessary (and lovely!) things out on display. It also has the laundry and garden shed which didn’t, and can’t, exist comfortably anywhere else in or around the home. 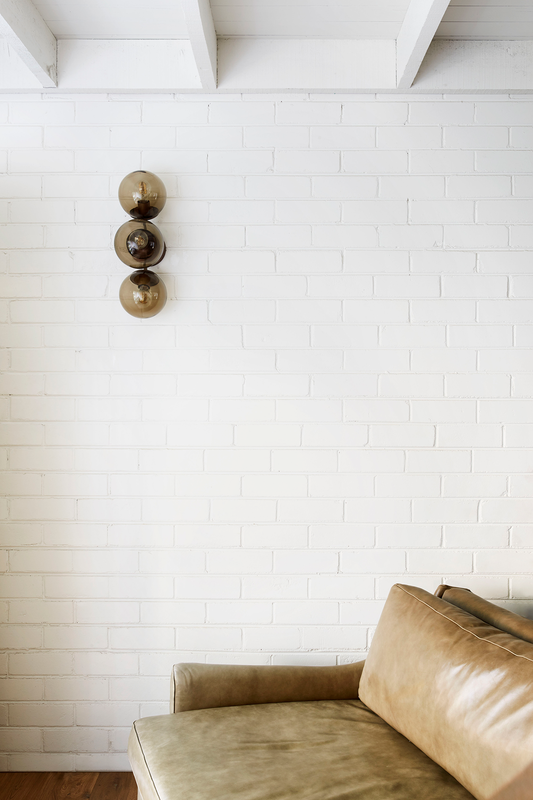 All that and it’s just lovely to live in – chic, comfortable and cosy. Photo - Caitlin Mills. Styling - Tamara Maynes. 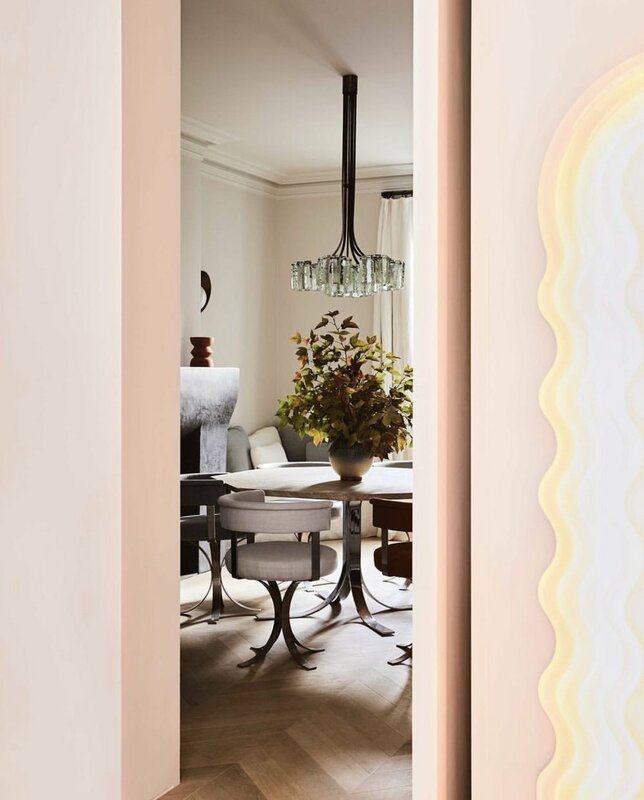 We just love the retro elements in the design and furnishings - can you tell us why you chose these touches? I’ve always had a thing for old things. When I was little I was fascinated by the olden days! I remember scrounging through the old toy cupboard in my nan’s ancient farmhouse which had all the toys my mum and her siblings used to play with. I was fascinated by the age, beauty, patina and styling of the objects.